I received an email from Ryan at WristGrips telling me about his compression wraps for musicians. Ryan who’s a musician himself has a product that can help elevate some issues like carpal tunnel, tingling in the fingers and hands or wrist pain. I got a pair to try myself as I suffer from the conditions of carpal tunnel and tingling in the hands. I’ve had my WristGrips for about a week. I started wearing them when I’m at the computer for long periods, playing and while sleeping. I can tell you that WristGrips is the real deal. The carpal tunnel feeling I have on my left wrist has decreased quite a bit. The tingling in my fingers is almost gone. 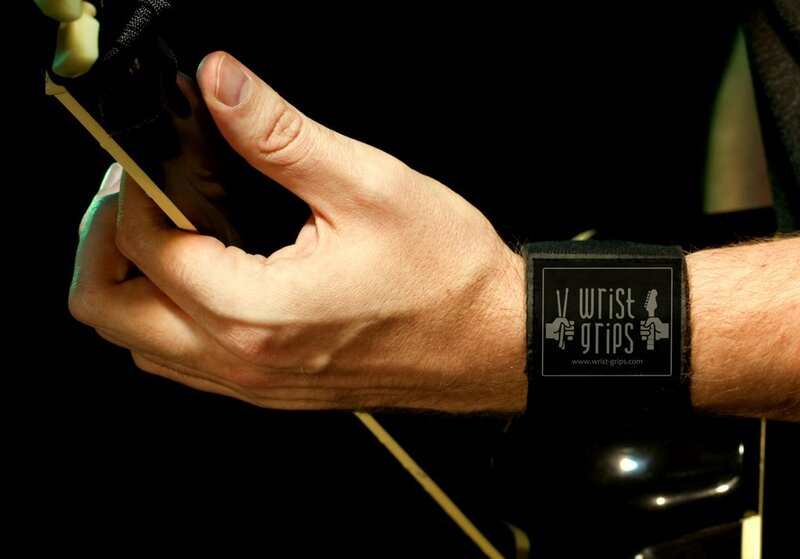 For musicians experiencing issues like carpal tunnel or similar in your wrists, I highly recommend WristGrips. Visit their website and look at there testimonials. If you order a pair of WristGrips, please use code allthatshreds10 for 10% off your order. Next Next post: Has Warren Demartini Left Ratt?